Stripe is one of the leading online payment providers and has shaken up the market with its seamless integration and highly competitive rates. The pricing model varies from country to country but in the UK, for example, charges are as low as 1.4% + 20p per transaction. This makes Stripe a great option for just about any business or individual looking to accept online payments and keep the associated costs as low as possible. We are very excited to announce that you can now accept payments through Stripe directly from your AccountsPortal online invoices. This means that you can now get paid even faster, thereby improving your cashflow and have all the information automatically reconciled in your online accounting software. The entire setup only takes a few minutes. Log in to AccountsPortal and register for a Stripe account (or link your existing Stripe account). 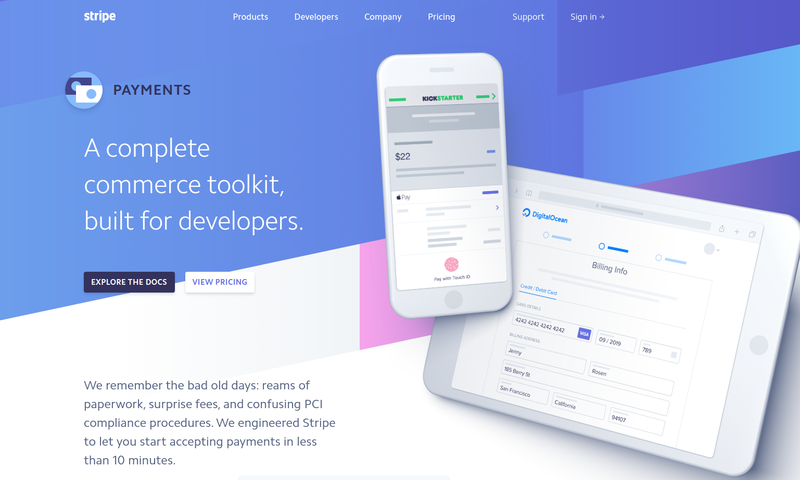 Activate Stripe for all of your relevant invoice templates. Ensure that the public invoice link tag [online_invoice_link] is in the body of your invoice email. 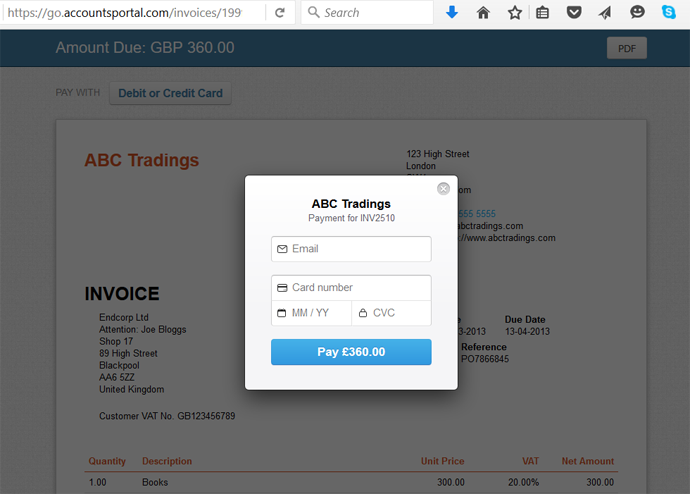 Customers can now pay your invoices online with the click of a button and automatically generate a bank transaction in AccountsPortal marking the invoice as paid. Please see the Stripe Integration help document for more information.